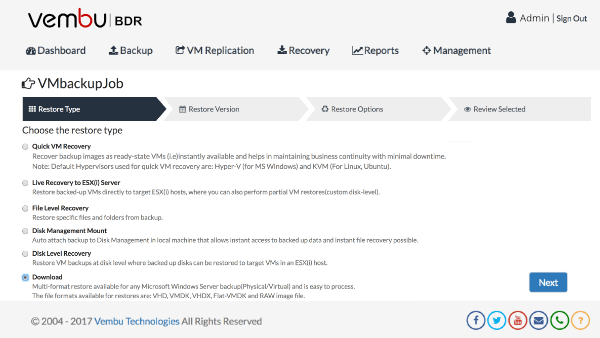 Download as VHD and VHDX is one of the recovery options offered by Vembu BDR Suite which helps to migrate the VMs from VMware vSphere environment and Windows Servers, Desktops deployed in physical environment to Microsoft Hyper-V.
Vembu developed its own filesystem VembuHIVE to store and manage the backup data. With the help of VembuHIVE filesystem, VHD, VHDX, VMDK, Flat.VMDK and RAW image files will be virtually created for every backed-up virtual and physical machines. 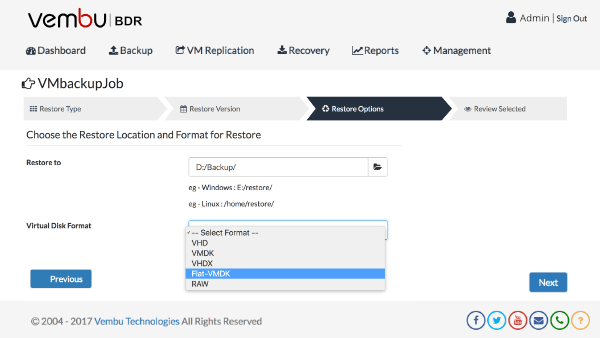 So, you can simply move the VHD or VHDX files to Hyper-V storage to permanently migrate physical and virtual machines. 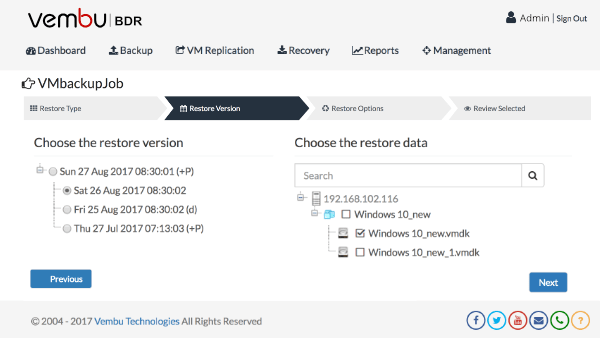 Select the recovery point before starting to convert the physical or virtual machine into VHD or VHDX. Select the target hyper-v storage location and select the virtual disk type.